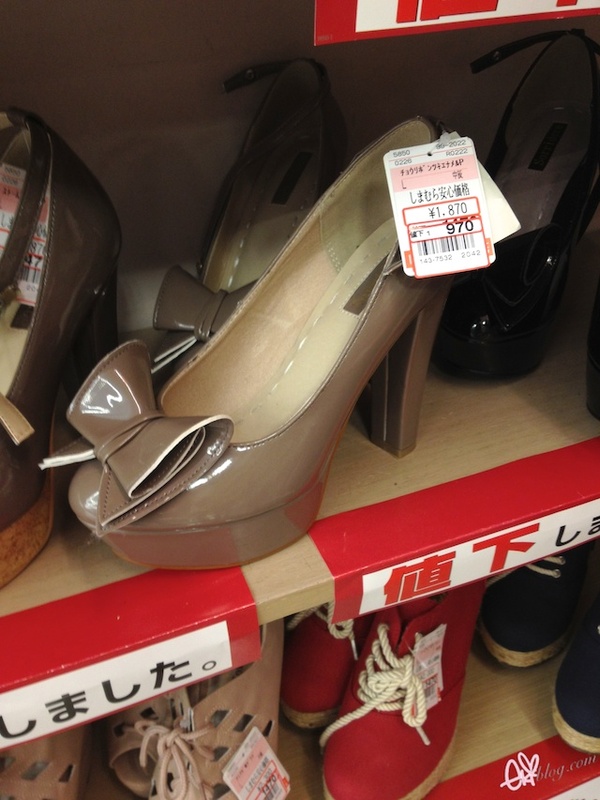 I couldnt believe this heel was only like $11!! it was made really well too!! 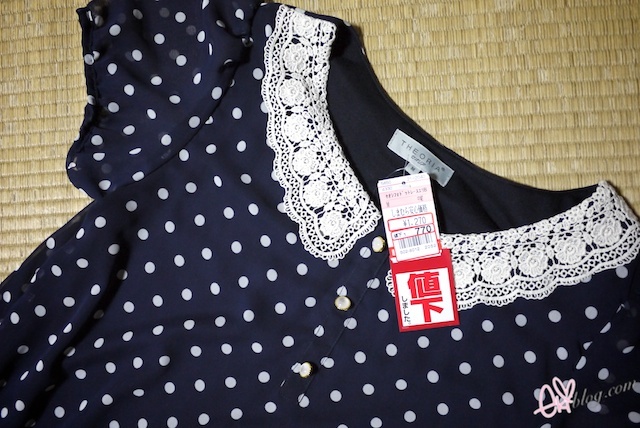 Their clothing starts from 300 yen to 2900 yen about $4-$36! this shirt was like $12 so cute! Please leave your email and your name or your twitter @name in this post comment! Looks amazing! 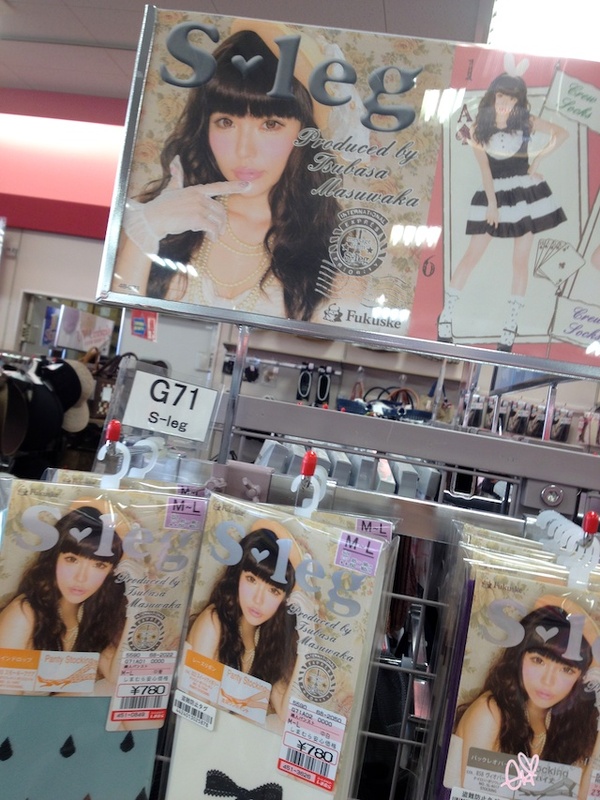 Tsubasa Masuwaka is everywhere! 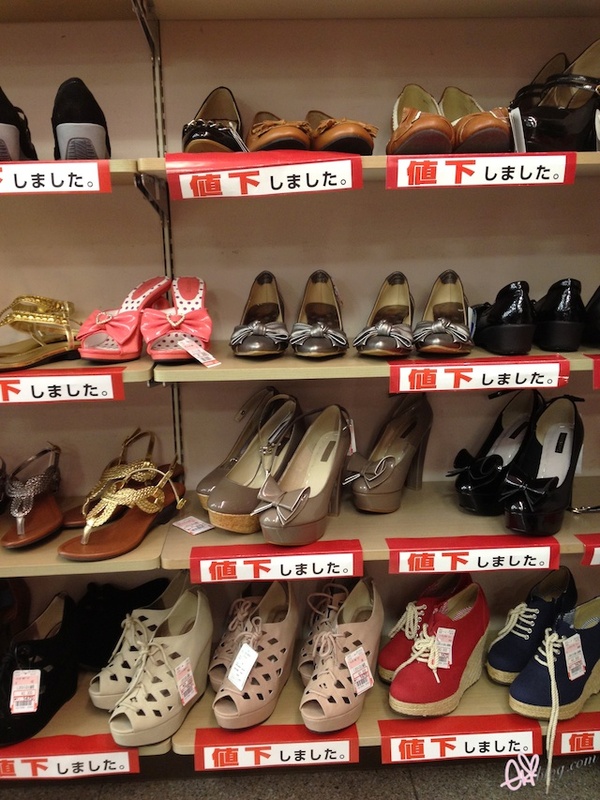 Is it hard to go to japan if i cannot speak/understand japanese? I hope you're having an amazing time in Japan! Love this giveaway! Thanks Eki! The shoes looks so dreamy ,but so high too ! 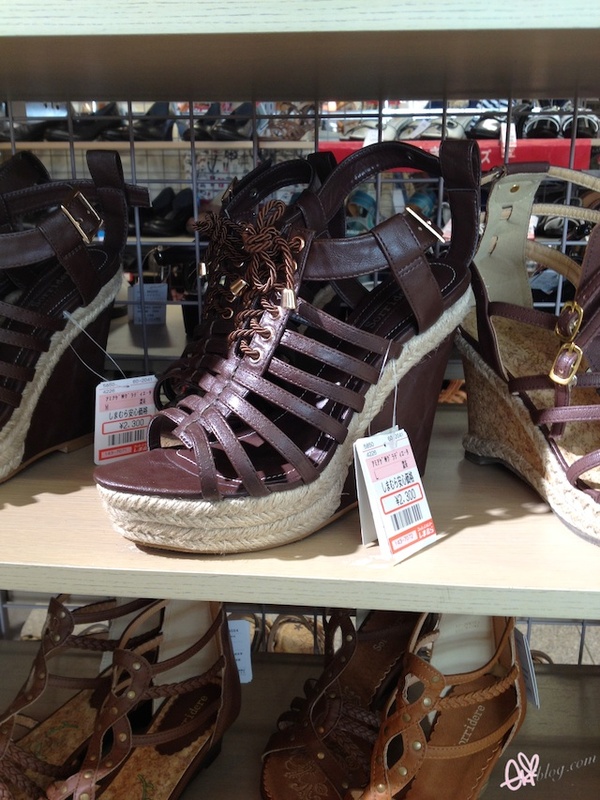 I don't know if I would ever walk in these,if I would buy one XDD. The blouse from your haul looks so nice !You have to take picture when you wear it !It will look great on you ! Cute haul! Thankyou for the giveaway. Japan has such amazing items. Thank you for the giveaway! Wow!! 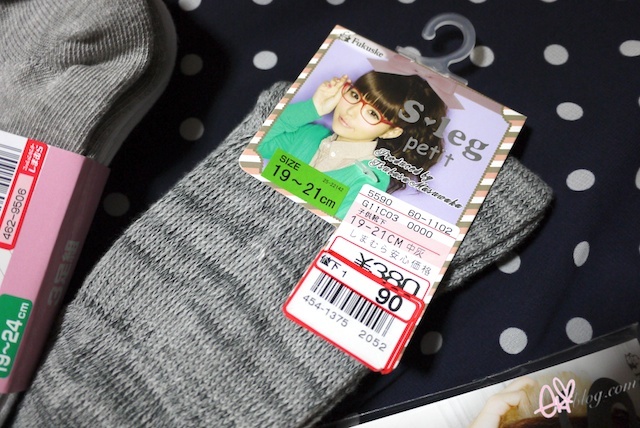 I just came back from Japan just last week but i didn't know there are such shop exist.. and especially with such an affordable price!! Thank for your giveaway!! 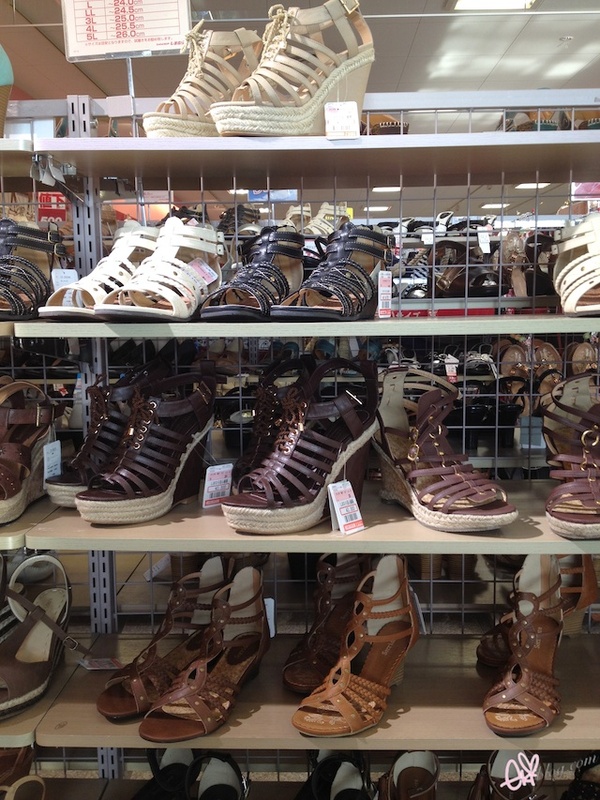 Isn't it awesome when you can find stuff you love at an affordable price? Thank you for another awesome giveaway, Eki! gleamace[at]gmail.com :DLove that stocking with the ribbon! Awww! 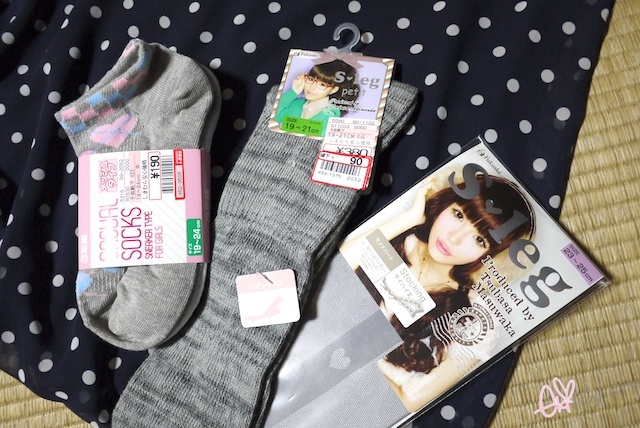 The socks are so cute! I can't wait to see more of your trip of Japan. Wow, that store looks so fun!! Thanks for this giveaway! I really like Tsubasa's S-leg collection but as of yet, have no way of getting my hands on any of the products. Always feel good and happy after reading your blog and learn of your new giveaway. The stuff have always been so sweet useful and kawaii. i love the blouse!! is beautiful! the shirt is so adorable!!!! Really hope to win this and really love all your blogposts! 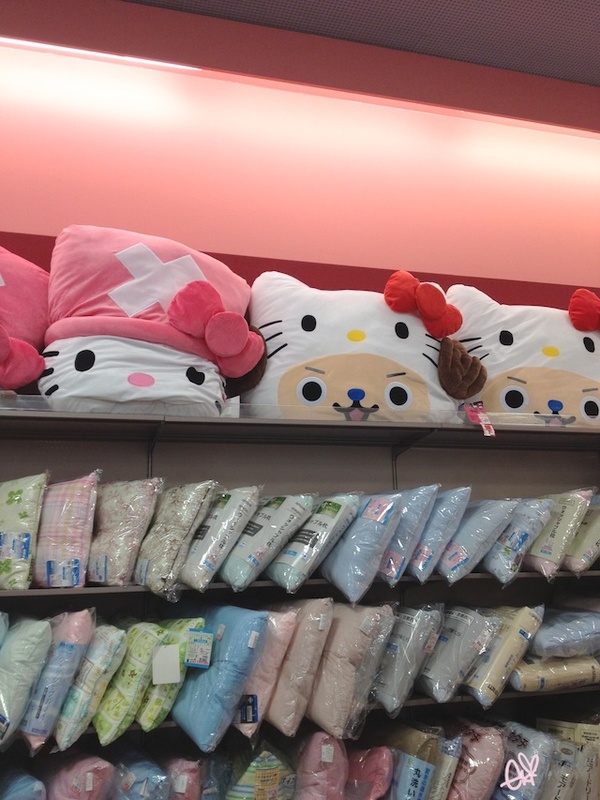 I love kawaii things too! Look forward to yo5r next post. Wow! Shimamura sounds amazing! 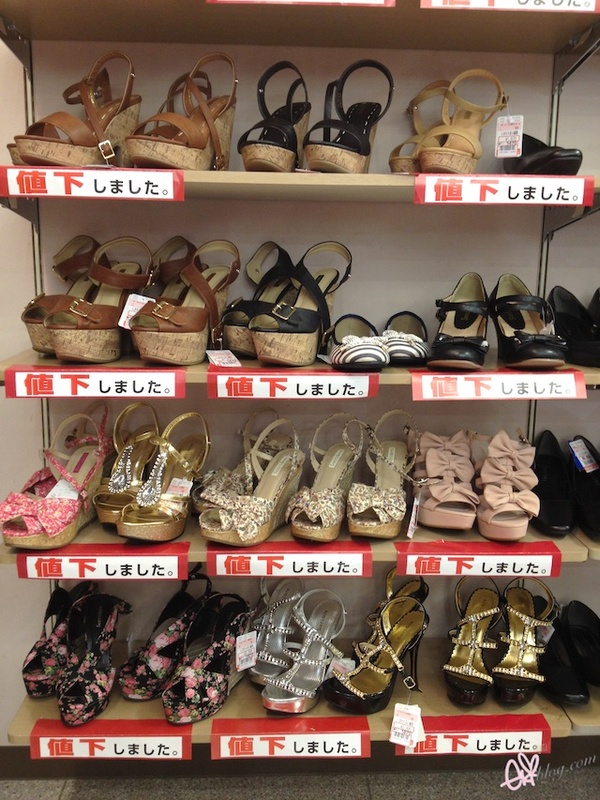 I thought everything in Japan would be expensive :p The shoes are so cute...but it's too bad the smallest size is 6. Im a us 5 too! Although my feet are really skinny so it never fills the shoe haha Eki please do a OTD with the blouse! I'm definitely going to go give it a look when I'm back :D ! Wow, I really need to check out that shop if I ever go to Japan! My name is Hannah and my email is ycw9191@gmail.com. My twitter name is @hannahycw. Wow! That is such a cool giveaway, thank you *_*! My name is Yemsoktheavy Khvan and my email is yemsoktheavy.khvangmail .com ! I got a bit excited when I saw the price thinking they had an online store ;(( Bummer! They have such cute stuff!!! 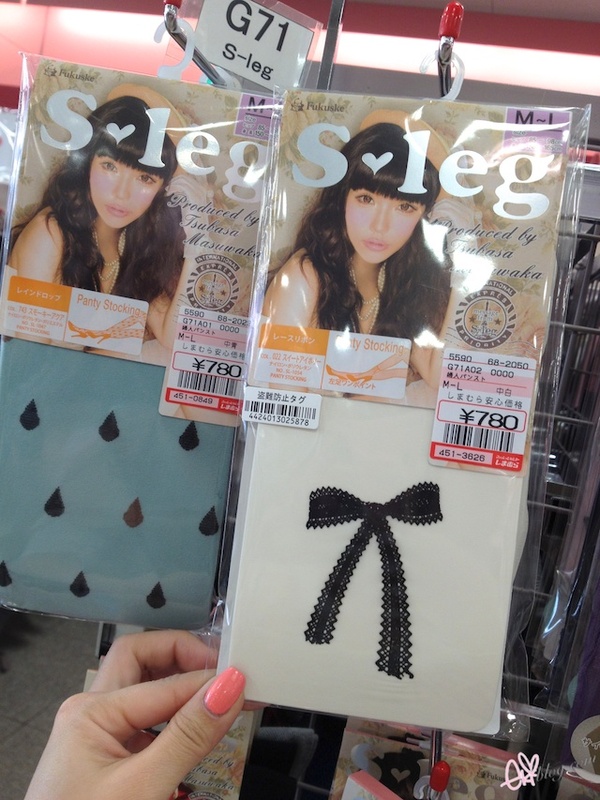 Very cute stockings. Those shoes with the bows are super cute - would love to find something similar here for that price. As always, lovely lovely post Eki!! I would love to see tutorials and what not visually (youtube) but I know it very time consuming editing videos. So glad you are enjoying yourself in Japan! 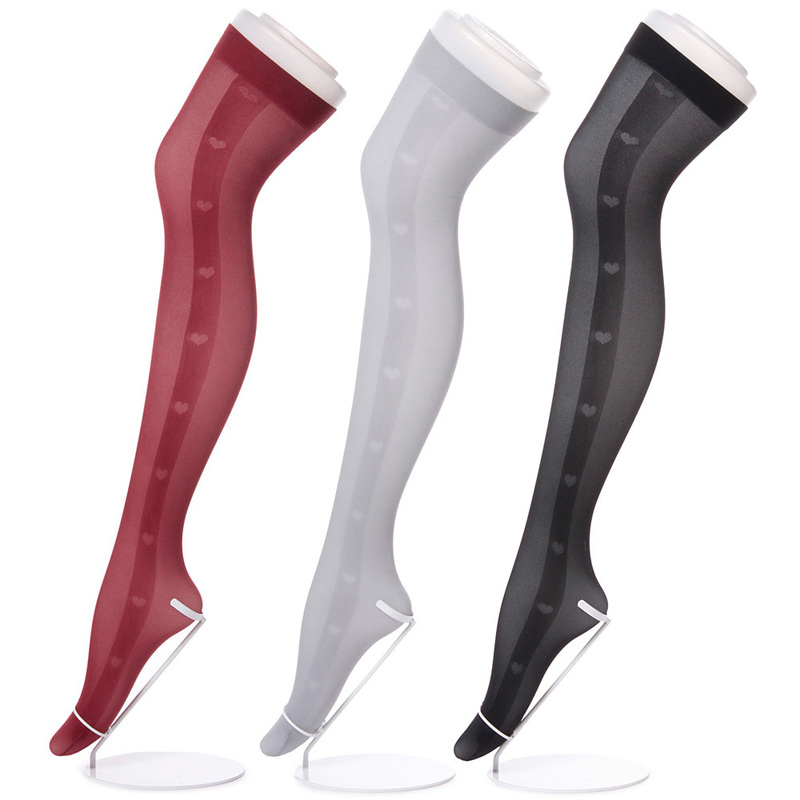 Awww love those tights, especially those grey colored ones! what a great store! such good prices *__* lucky You! Hello! So great stores! I'm in <3, Thank you for posting! These are great finds! It's so difficult to find imported Asian items in Canada. I really need to go to Japan! 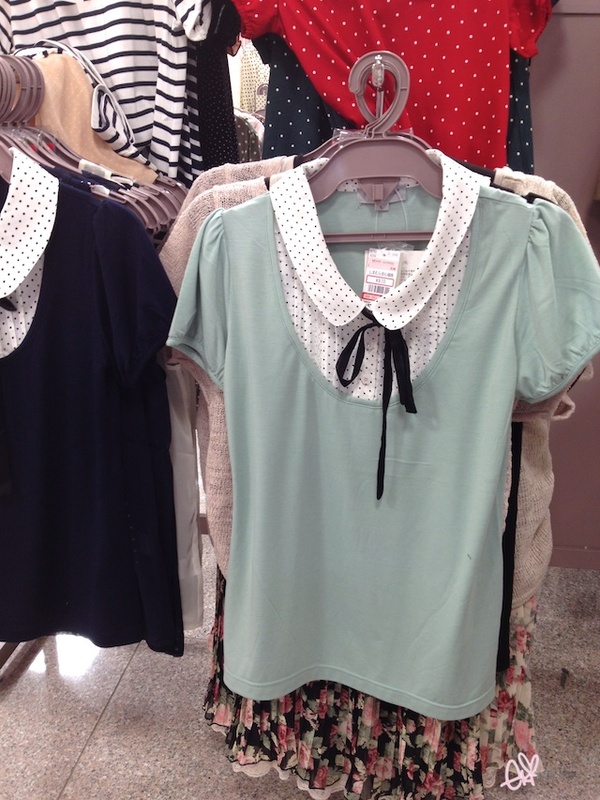 These clothes are so pretty!! Oooh, it's so cute ♥ I really love it ! i love the blouses you bought! The products are so cute! Omg you go to the most cutest stores! What nail polish are you wearing the color look really nice on you? Nice socks, Eki. I enjoyed seeing the pictures posted on your blogs. cute socks. email is chandraung562[at]hotmail[dot]com. name is chandra ung. I love you blog.. Specially your post.. The design are wonderful and fantastic. This is very cute, Eki!